Gehl and Svarre work at the Danish firm Gehl Architects / Urban Quality consultants. 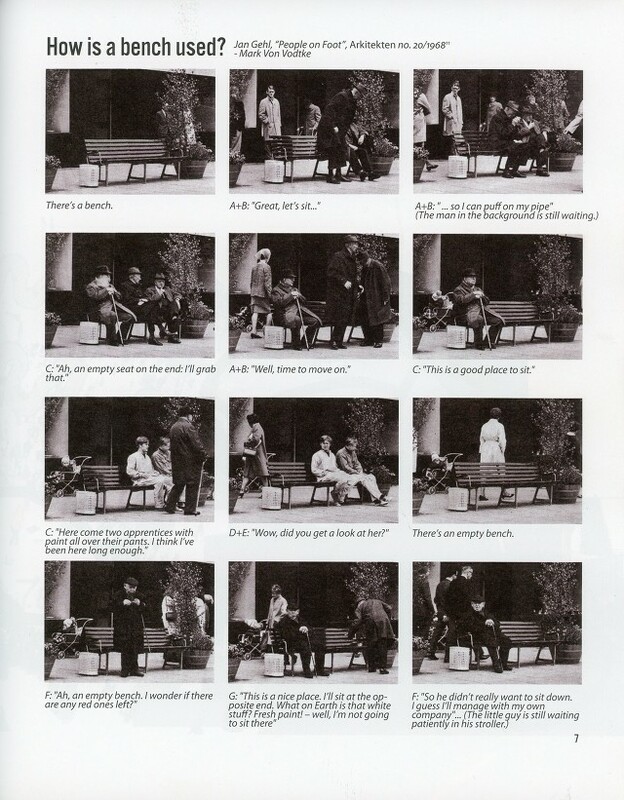 Beginning in 1960s, Gehl was looking for a way to understand cities at the human scale, by observing people’s activities empirically rather than making assumptions about “good design.” This book presents an interdisciplinary approach to the study of the interaction of people and urban space using a mix of observation, documentation, and common sense. 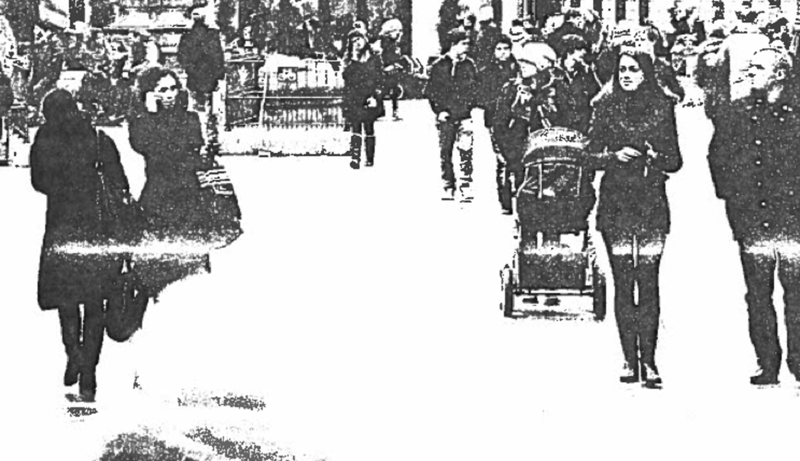 Methods used include counting, timing, mapping, photographing, walking, journaling, observing traces and other material evidence…and the list goes on. 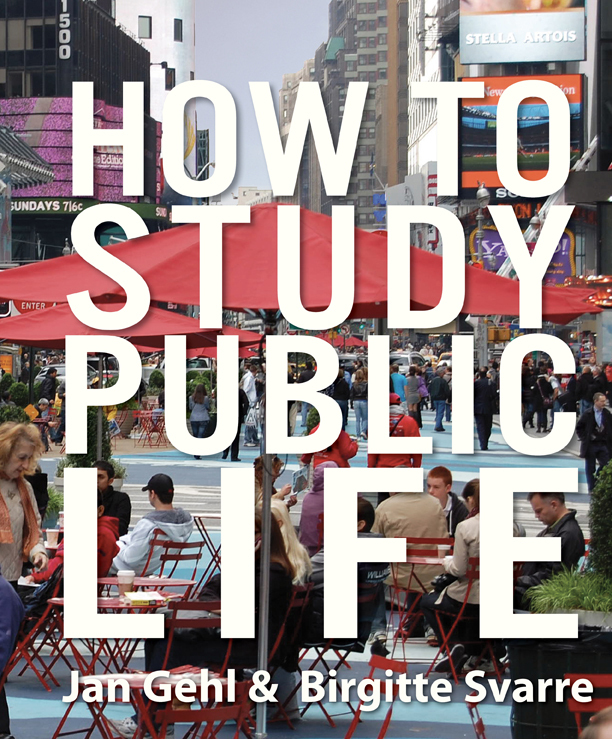 It’s an excellent introduction to the contemporary practice of planning and urban design, and even includes a gloss of the last century or so history of texts about the study of public life and urban analysis. 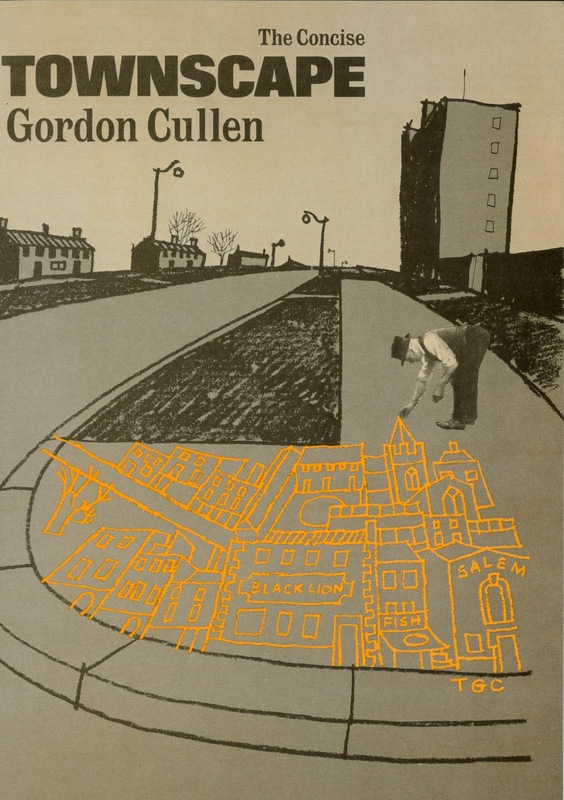 Jan Gehl’s 2013 publication, discussed above, brought to mind Gordon Cullen’s classic Townscape (1961), and it’s abridged version, The Concise Townscape. 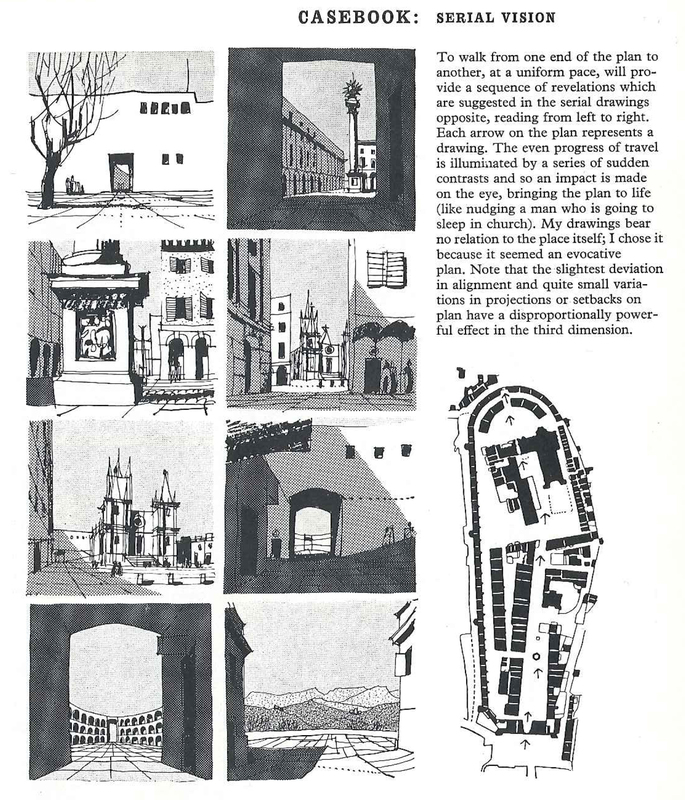 The text is an influential study of the visual and experiential intricacies of urban form. It looks at a wide range of how the city-goer experiences changing relationships in urban form over time. It is not so much a grand thesis as a catalog of spatial qualities and visual typologies such as enclosure, multiple enclosure, looking out of enclosure, looking into enclosure … change of level, truncation, silhouette, fluctuation, undulation, anticipation … and even some very abstract concepts such as infinity, mystery, and thereness. This work is a kind of aesthetical praxis that still feels fresh for those of us interested in continuing to hone our sensitivity to design, environment, and the very value of paying careful attention to the world.